Welcome to a premier real estate website serving Oliver and Osoyoos in the Beautiful South Okanagan Wine Country. Are you thinking of buying a home in the South Okanagan area? Finding the right home can be a difficult process but no matter what you are looking for, as an experienced local real estate agent, I can provide you with the resources you need to make the home buying process simpler. Everything from tools to estimate your mortgage payments, to buyer resources and articles that will help you through the home buying process. Thinking about selling real estate in the South Okanagan area? No matter which market you're in, you can use the marketing programs and experience of a qualified RE/MAX real estate agent like me to help sell your home quickly and at the right price. Learn more about my service, or contact me to get started today! Thank you for visiting www.osoyoosforsale.com .This is a one-stop real estate website for all your home buying and selling needs in Osoyoos. I’m a professional real estate agent who will help make your search for a new home an enjoyable experience. Please feel free to contact me directly if you have any questions about the Okanagan real estate market, or buying or selling a home in Oliver or Osoyoos. As a buyers agent, Michelle was an ideal representative. Easy to deal with, born and raised in Osoyoos. With her assistance my family found the perfect home for us. I would/will recommend her to any/all that I know in a similar position! I very much appreciated Michelle's continued efforts to advise me and sell our property in a quick timely manner. I won't hesitate to use Michelle on my next real estate transaction. 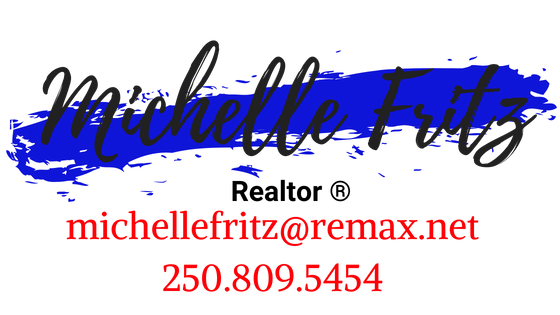 I will continue to recommend Michelle to all my friends that are in need of a professional real estate agent. Michelle sold my property in one day for the full asking price. I was very impressed. She also provided me a great summary of the local market so I knew I was getting a solid price. This is a one-stop real estate website for all your home buying and selling needs in Osoyoos, BC.